Everyone likes free stuff, right? Weirdly, we like giving away free stuff just as much as we like getting free stuff. At the end of 2010 we gave away a whole free album of free edits, reworks and a bonus DJ minimix. It was called ‘The Bedmo Disco Selection Box’ and it proved hugely popular on That Internet, with many thousands of downloads. 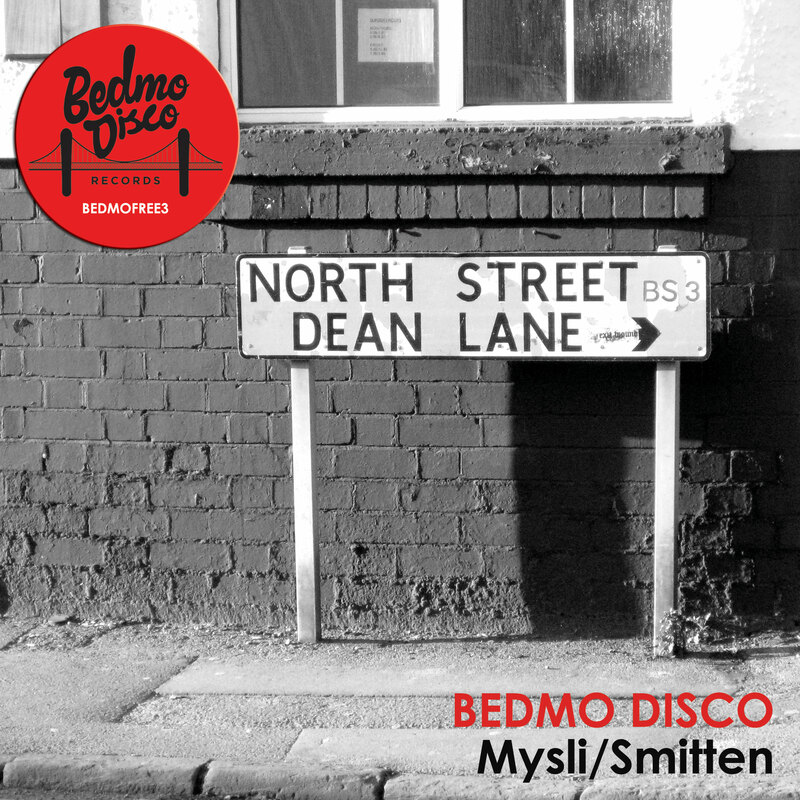 With Bedmo Disco Records returning to vinyl in June, we’re in a good mood. Thus, we’ve decided to give more stuff away – this time a free, two-track EP in 320 MP3 format. The included tracks are called “Mysli” and “Smitten“. They’re (sshhhhh!) re-edits we did a while back, of quite obscure disco-funk and disco tracks. We toyed with putting them out on the label at one point, but eventually decided against it. We were clearing out our hard drives the other day, found them, and decided we’d dust them down, give them a bit of audio polish and let you have them free of charge. Nice of us, eh? Before Bedmo Disco, there was best before: – a Bristol-based club night I launched in a fit of innocent enthusiasm back in 2003. I’d only recently moved to the city, but I was bored with the parties I’d encountered, with only the mercurial Seen offering anything interesting. I was a huge fan of the eclectic, soulful “basement party” vibe pushed at nights like Electric Chair in Manchester and, more specifically, Lights Down Low in Sheffield (my home town). I thought – perhaps mistakenly, in hindsight – that Bristol was ready for dancing hard to great music, especially disco, proper house, broken beat, hip-hop soul and anything related. I was stuck for a venue until two friends of mine told me a story about a weird night they’d had a place called Timbuk2. It had recently opened, and had yet to hold club nights; they’d stumbled in there for a drink, late one night, to find the place full of bellydancers. In their drunken state, they were impressed with the layout and intimate cellar vibe. The next day, they excited told me I should check it out – it was a basement with potential. I arranged a meeting with the owner, Said, explained what I wanted to do, and he thought it was a great idea. He had no experience of running a club – he’d previously owned a cafe/restaurant on Gloucester Road – but thought it could work. So, best before: was born. The first party was a small, intimate affair – i.e very few people turned up – but it was notable for a number of reasons, not least being the first club night in Timbuk2. 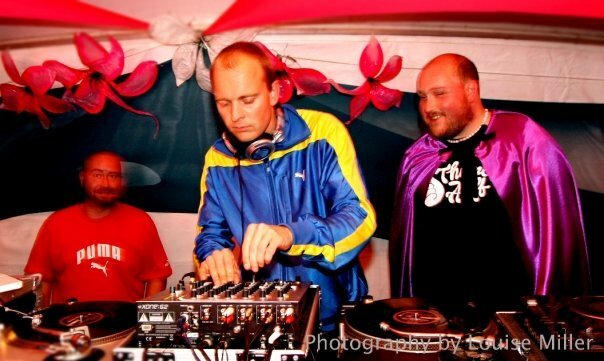 It was also the first time I’d DJ’d on the same bill as my friend from IDJ, Oli (Five-Stylez). It was the beginning of the Bedmo Disco story in some regards. Oli became a regular behind the decks (we did a back to back set for the first birthday party), and always did a sterling job. Timbuk2 in those days was an odd place. It’s since been developed considerably, and now has the look, layout and feel of a “proper basement club”. Back then there was no DJ booth in the main room, one of the main speakers was on the ceiling pointing downwards (really), and the tiny main room dancefloor was accessed via a few steps from either the back or front of the room. There was licensing issues, too, meaning that Said had to give away free food so we could stay open until 2am. At one party he actually locked the front doors at 11pm, with just a handful of friends and punters inside, because he was paranoid the police were going to come and close him down. It was a bit of a rollercoaster ride. We had some amazing parties down there, though – the sort that memories are made of. I was the first person to bring Greg Wilson to Bristol, and both those events – in 2004 – were brilliant. Greg stayed in my spare room and sat up most of the night entertaining randoms and DJs with tales of the electrofunk era. There was a free “back to back” party where 300 people turned up – a record for Timbuk2 for the first couple of years – and another where Kelvin Andrews played back to back with Elliot Eastwick. I always used to enjoy playing at Timbuk2, because the intimacy of the crowd, the low ceilings and the darkness of the basement appealed to my sense of dance music history and purpose. To my mind, the best nights are those when you lose yourself in a cellar with a couple of hundred people, dancing to emotion-rich music in the darkness. All the best parties – whether in New York, Chicago, Detroit, Manchester, Sheffield or Bristol – are those in dingy cellars. That subterranean vibe is priceless. To be able to play records you love to a sweaty cellar full of smiling faces is something I’ll never tire of. In Bristol, Timbuk2 has always been the best cellar space for those kinds of parties. When I was contacted last month by Shaun and Kerry, the promoters of Dirtytalk, and asked if I wanted to play at their Bank Holiday Sunday party at Timbuk2, I was thrilled. I’ve not played in the main room at Timbuk2 since 2008, and that’s a long time between drinks. Ironically, it was another best before: party – a kind of belated return for a bank holiday Sunday bash with Andy Butler from Hercules and Love Affair. He cancelled the day before, but the party went ahead. It was great, too. I like what Dirtytalk are trying to do. 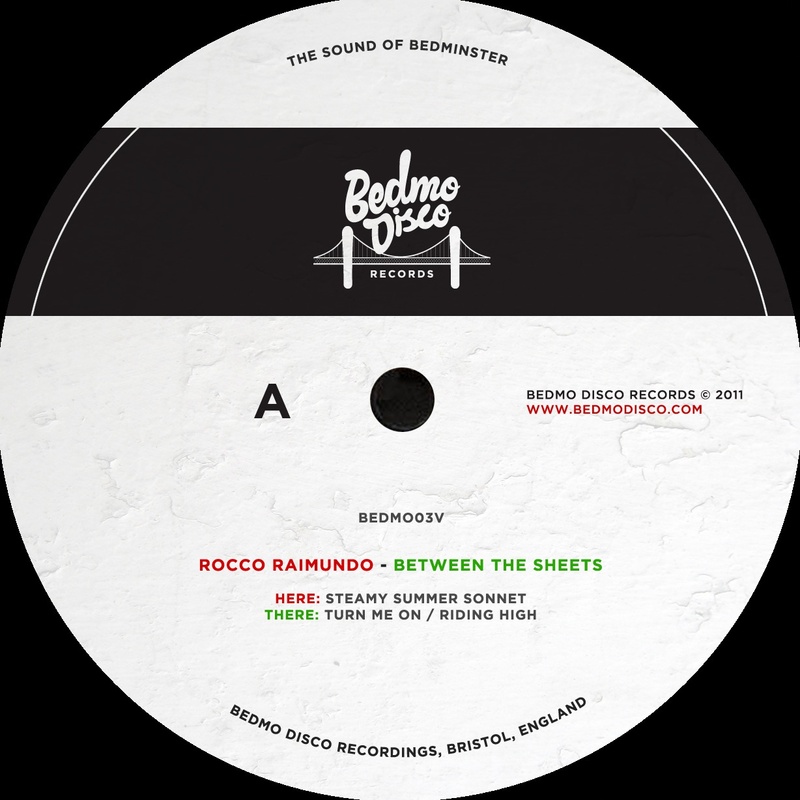 Since the demise of best before:, there’s not been a regular party in Bristol that really nails the subterranean disco/jackin’ house party vibe that I was striving for all those years ago. The closest is UFO, which to my mind is head and shoulders the best regular event in our fair city. I am of course, biased, but the scope of music and depth of bookings is out of this world. It’s great, and it’s occasionally quite disco, but it’s something different. Dirtytalk is coming from a similar place to best before:. Shaun and Kerry say it’s all about the party, and they want DJs to play a mix of disco, Italo, EBM, new beat, electrofunk, Chicago Jack and Detroit techno. It’s almost the perfect recipe for a brilliant party. In Maurice Fulton, they’ve chosen a brilliant headliner. No-one flits between the outer reaches of house, disco and techno quite like Maurice. He’s a genuine one-off, and in my experience he always brings the party. Tonight, then, has all the ingredients to be very special indeed. Certainly, I’m thrilled to have been asked to bring the best before: and Bedmo Disco vibe back to Timbuk2. I’ve been critical of some of the decisions made by T2’s management over recent years, but they genuinely seem to be getting it right more often than not these days. Hopefully tonight, with Maurice, the Dirtytalk residents, my old friends Vast & Bulbous and the Wonky crew (who, incidentally, played at the last best before: party there), will be as memorable as some of those best before: parties. If I can bring the party, I’ll have done my job. Here’s to a great night. Dirtytalk takes place tonight (Sunday 1st May) at Timbuk2, Small St, Bristol, from 10pm to 4am. £7 entry (£10 inc afterparty til 9am).